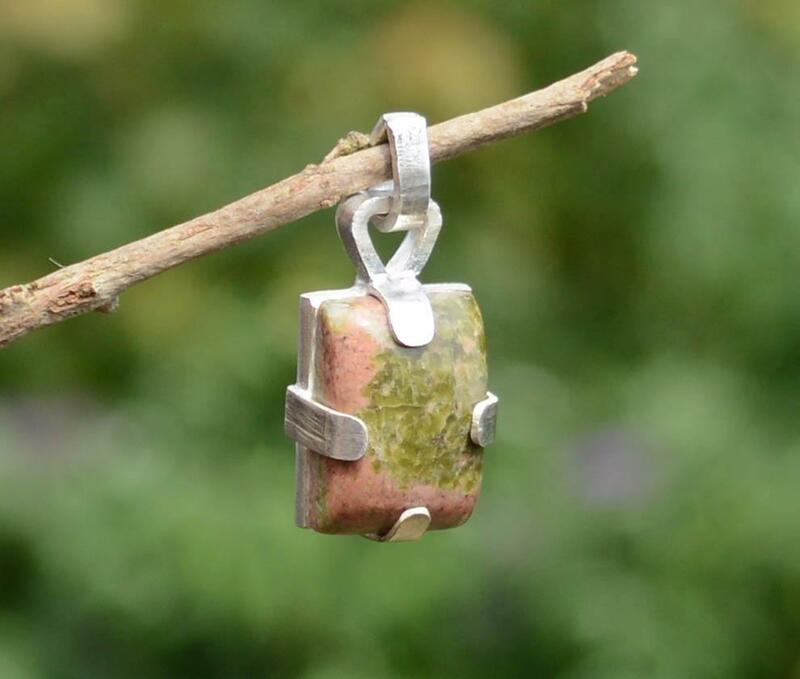 A green epidote and pink feldspar combine to form beautiful Unakite which possesses the properties of all three. 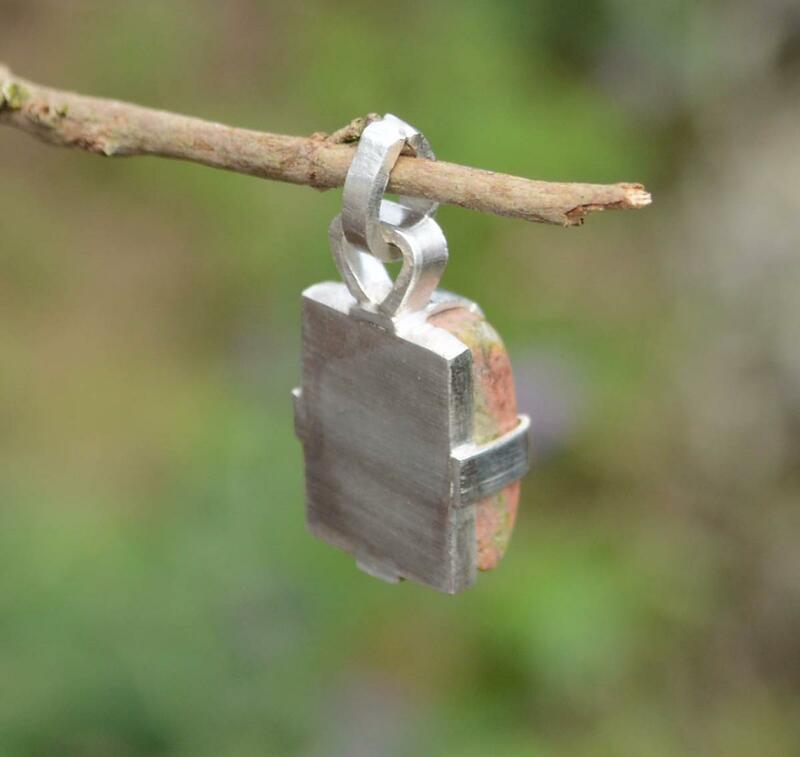 In a unique sterling silver design. 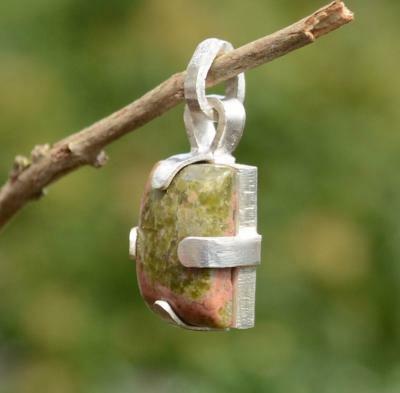 "Epidote can provide for increase in that to which one attunes it. This short but clear statement shows that epidote is truly a stone to experience in all aspects of life. It dispels critical-ness, enhances keen perception, stimulates participation and interaction and supplements personal power.” Melody, Love is in the Earth.